Top quality gym-bag toiletries are hard to come by and, for those of us not resigned to smelling of Lynx when we leave the shower, a constant struggle to find something that feels refreshing to use. Nip+Man claim to have the solution offering a range of sporty skincare products that not only wash off the workout but muscle-out the competition with ease. 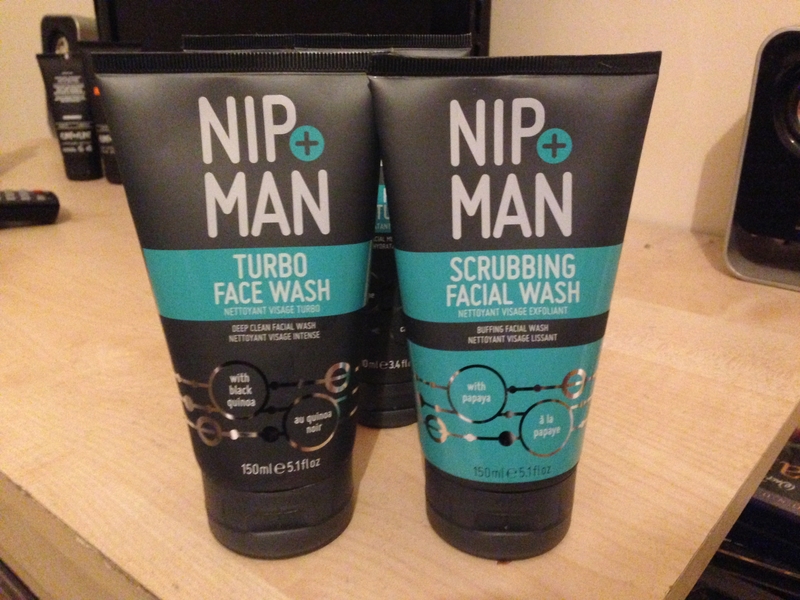 Keen to test these claims of performance and finesse with fitness we were sent some samples by Nip & Man of their skincare range to test and see how they stood up to a few workouts as well as on a day-to-day basis. We measured them against the usual criteria and here’s an overview of what we found. 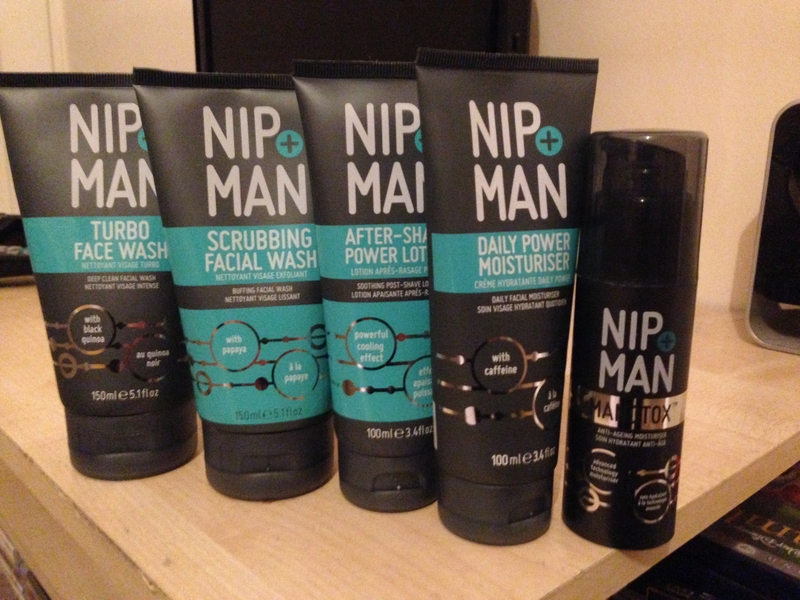 The Nip+Man range comes out swinging with some fantastic quality products that perform to a great standard. The Turbo Face Wash is a great everyday wash that feels refreshing once applied and leaves your skin feeling cool and clear whilst the Scrubbing Facial Wash offers a much deeper clean that helps to clear pores and remove any dead skin or oils from the surface of your face. Favourite Product: Manotox – This product is world-class in terms of performance. A gel-based moisturiser that feels thick and luxurious when applied but leaves your skin feeling younger, hydrated and nourished without any sticky residue. Fragrance is a difficult balance to strike for sport/gym toiletries. Too sporty and they feel cheap, not sporty enough and they don’t make you feel like you’ve really just scrubbed up after a workout. Luckily Nip+Man seem to have done their homework and produced a scent for their skincare collection that strikes a perfect middle ground. Sporty yet subtle, your skin smells clean and fresh without feeling like you’ve sprayed it with a can of cheap deodorant. 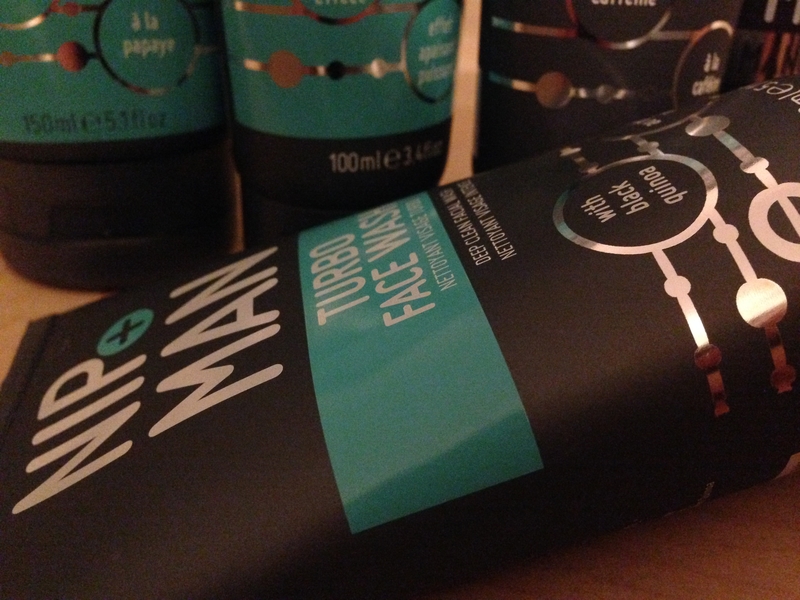 Favourite Product: Turbo Face Wash – This is great to use when you shower after a workout. A light gel that lathers nicely and gently cleanses the skin on your face and neck. It smells refreshing without being overpowering and acts as a great base scent to build on if you’re wearing cologne. This is where the Nip+Man collection struggles with its own identity. 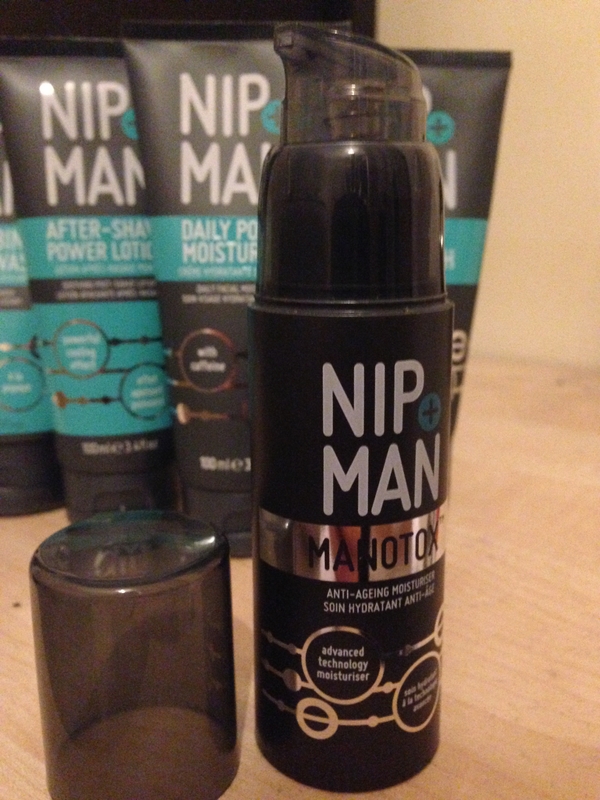 No doubt it’s a sporty product range designed for men rather than boys, but the product names feel a tad patronising to men. The packaging itself is nice with dark greys and pastel blues off-set by metallic silver patterns. However, inserting “Power” and “Turbo” into your products’ names feels, from our perspective, like you’re trying to pander to the marketed idea of “men” and not men in general. Our advice? Remove the buzzwords and let the products do all the talking. The majority of the product range (for skincare) comes in under the £8 mark, making it a relatively affordable gym-bag regular. The Manotox costs roughly £20 but with that you’re paying for the quality and we strongly advise you to consider investing. Their “Body Sculpting & Fitness” range (which we didn’t test) comes in around the £20 mark for most of the products, we’re doing some research right now to see how they perform on a day-to-day basis. Nip+Man have certainly managed to separate themselves from the crowd with this collection. It’s a sports-themed range that offers great performance, subtle fragrance and top quality to create something that should always be packed with your gym kit. We highly recommend trying the Manotox for yourselves to get a feel for their quality. Well that just about covers our review and, as always, if you’ve enjoyed the article feel free to comment, like and/or share it with your gentlemanly friends. If you have other brands you’d like to us to test please do comment below as we’re always keen to try new things.